YES! Another DIY project. I don’t know what it is, but there’s something about up-cycling everyday objects that is just so rewarding. It’s essentially turning trash into treasure! This project was inspired by this winter themed DIY video. I made some adjustments to the original project in the video, but I am certainly pleased with the outcome. They’ve already been added to my bedroom decor. Just for reference, this is what I was working with. 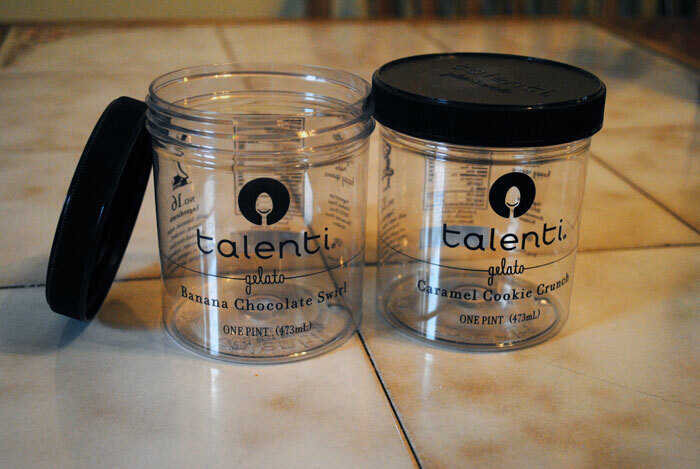 I must admit, emptying the jars of all the gelato was half the fun of this project. YUM! 1. Remove all of the contents from your jar. (Wax from a candle, gelato, etc.) Clean the jar and remove any labels or writing from the container. For this project, I simply removed the writing from the jar with a file. 2. 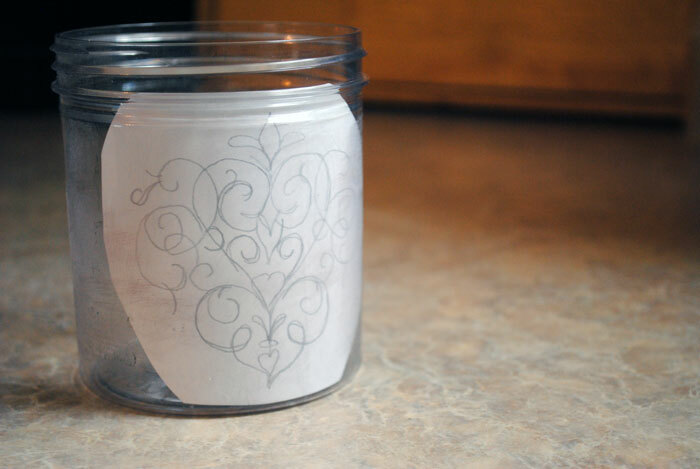 On a piece of scrap paper, draw out the design you wish to transfer onto the jar. I found mine off of Google, but you can get creative and incorporate typography as well. 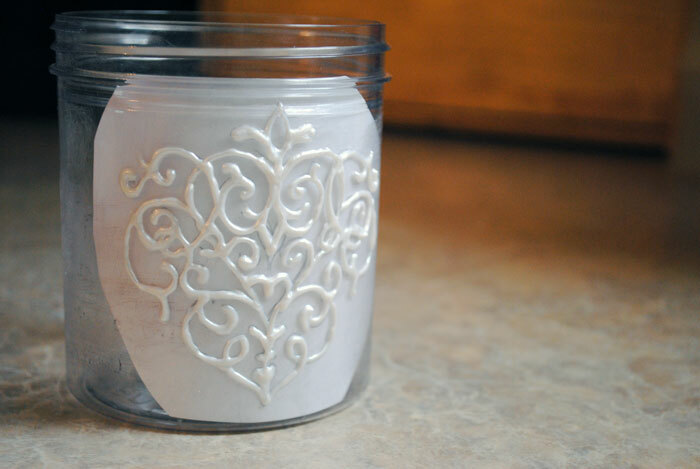 When you’ve settled on your design, cut it out and tape it to the inside of your jar so the design can be seen through the outside. 3. Use the puffy paint to trace along the sketched design. Let it dry completely before continuing on to the next step. 4. 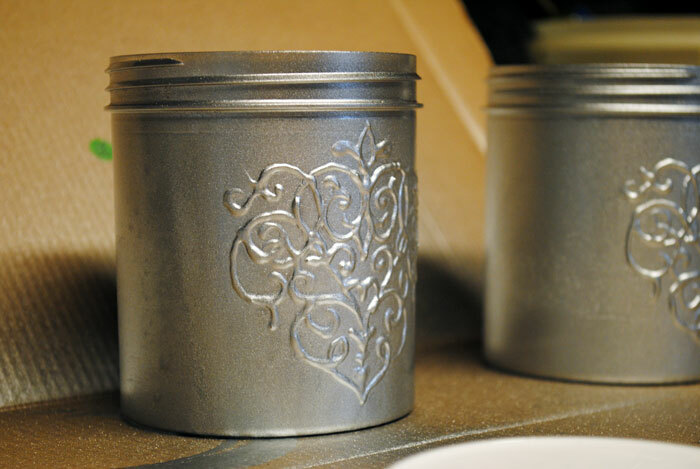 In a well ventilated area, spray paint the outside of the container, making sure to cover the puffy paint entirely. Don’t forget to spray the bottom of the jar and the lid if there is one. Let dry for a few hours. 5. Fill your new decorative jars with anything you like! 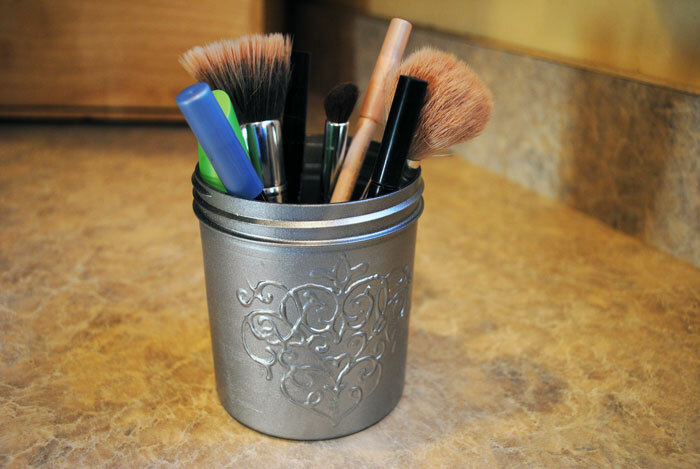 I decided to organize some of my makeup/brushes by putting them into one of the containers. 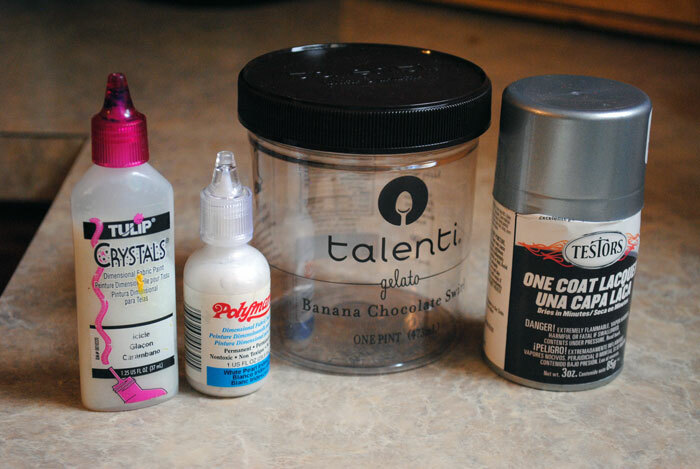 At this stage, you can also fill your jars with clear glass beads found at your local craft store to help the brushes stick up straight. And there you go! 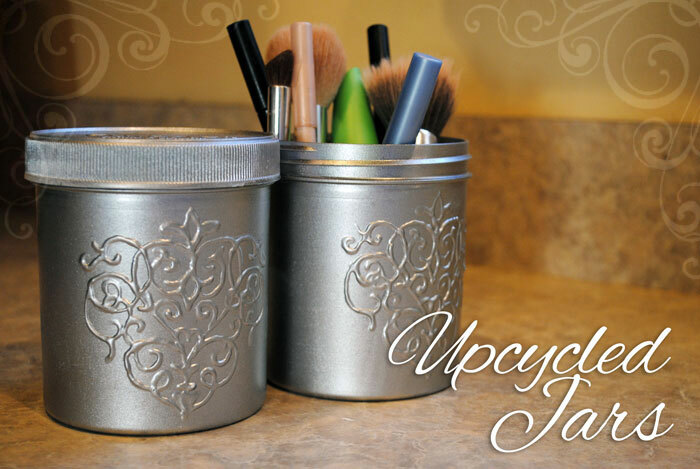 What was once a plastic container that would have been thrown into the recyclables, is now a cute and decorative container that adds a bit of elegance to any room. Take this project as inspiration and get creative with some new designs! 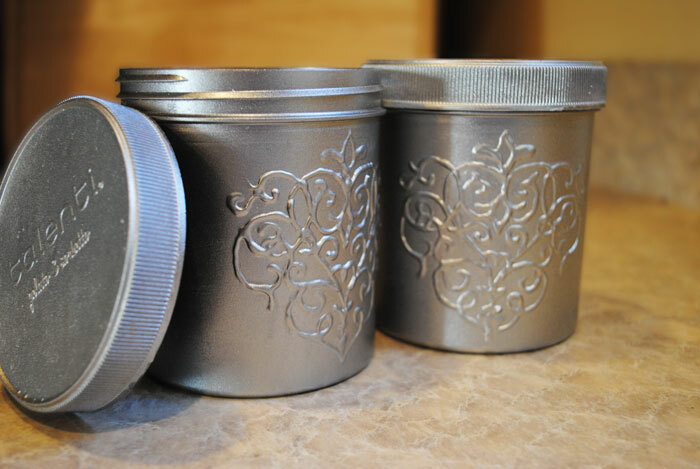 The jars can be as elaborate or as simple as you like.